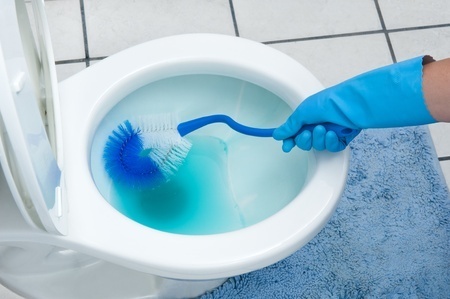 How often should you tackle various house cleaning chores? The answer depends on how fastidious you are, how much time you have to clean, and how active your family is in your home. Here's a general house cleaning timetable that can help you put your housecleaning on a yearlong schedule. For easy reference, print this page and post it where you store your cleaning supplies. Rinse sink clean after each use. Wipe clean kitchen table, counters, and cook top or range. Wipe down interior of the microwave. Sweep or vacuum the kitchen floor. Squeegee shower (or sponge-clean the tub). Wipe down counter tops after use. Sort, wash, and fold laundry. Dust furniture, shelves, and lamp shades. Clean window blinds and curtains. Clean lights and lighting fixtures. Scoop and clean out the cat's litter box. Shake area rugs, depending on size. Mop floors, and dry or damp-mop wood floors. Clean telephones, computer and laptop screens, TV screens, video-game controllers and remote controls. Hang up clothes, tidy the closet. Clean the shower or tub. Wipe chrome fixtures, clean mirrors. Sweep and tidy up the garage. 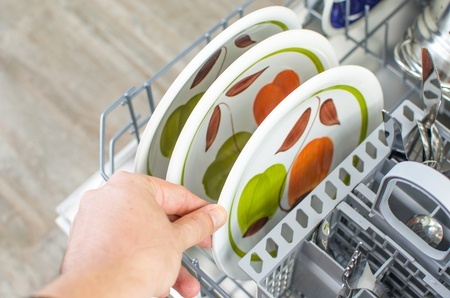 Wipe down walls of fingerprints, spills. Check expiration dates on foods in the fridge, discard as needed. 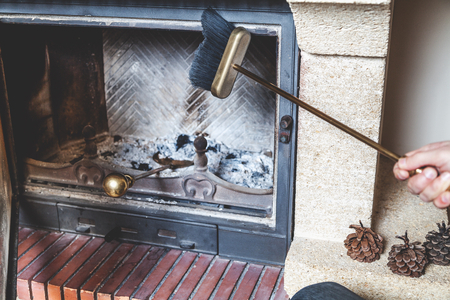 Clean the fireplace and tools seasonally. Sweep the patio and porch. Wipe down patio table and chairs. Clean the fireplace and tools. Clean the dryer's exhaust vent. Deep clean carpets and upholstery. Scrub or strip and wax floors. Wash and polish wood furniture. Dust and vacuum corners and crevices from high point to low. Remove dust ruffles from beds to wash or dry-clean. Check washing machine hoses. Replace if they're older than two years. Vacuum heating vents and ducts. Clean out your medicine cabinet and toss expired medications.